Gift certificate in the amount of $10. 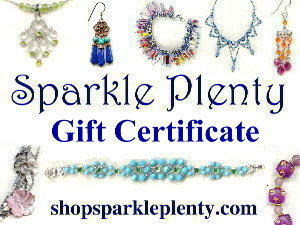 We can send these certificates to you or send them directly to your recipient. Good for one year from the date of issue. Each certificate will have an alphanumeric code. Your recipient should enter this code during the future purchase in the Coupon section of the shopping cart. If the future purchase by your recipient totals more than the gift certificate amount, payment options will be presented during checkout. Redeemable for merchandise only. Certificate has no cash value. Gift certificate in the amount of $100. Gift certificate in the amount of $25. Gift certificate in the amount of $50.